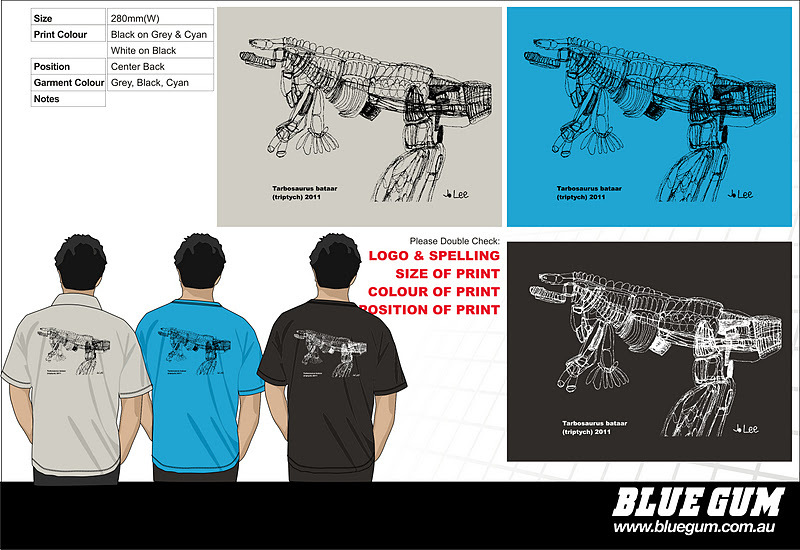 Here's a sneak peek at some 2012 Dinosaur Dreaming T-shirt proofs. The image is by Artist with a disability Joceline Lee, who completed a Museum Victoria residency last year, and had a very successful exhibition, Rendered Bones, as part of the 2011 Melbourne Fringe Festival. A big thanks to Joceline and Arts Access Victoria for permission to use the image. 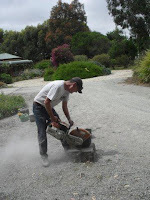 Preparations for our Flat Rocks dig are in full swing now that the start is almost upon us. 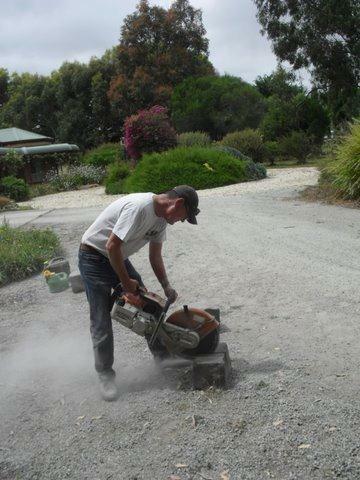 Here is a great photo of Dave cutting bluestone blocks to size for our new lightweight rockbreaking stations. This is a video of the 3D model that Dean made from all the data points he measured at Flat Rocks. I don't know about everyone else but I think it's really really cool! Although Gerry's rock is a little bit pointy. Dean tells me he's planning to refine it this year, and maybe even add some of the sedimentary layers. Dinosaur Dreaming is excited to report that we have received a donation of a Bosch GLM 80. This will allow us to take more accurate measurements on site, not to mention leaving our heavier less accurate measuring equipment at home! Big thanks to Ulrike Read, Mario Heimberger and our very own John Wilkins from Bosch Australia for making this happen. Saturday 11th February - We arrive and immediately start with early morning tides. Sunday 26th February - Friend's day is pretty much locked in from 10:00 am until 1:00 pm (for those of you not friends who would like to be please click this link: Friends). Saturday 3rd March - we pack up the house and head home.